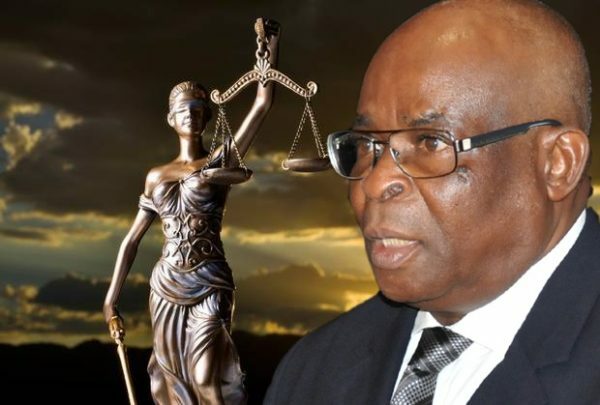 The Code of Conduct Tribunal, CCT, in Abuja, has declined to suspend further proceedings in the criminal charge the Federal Government entered against the Chief Justice of Nigeria, CJN, Justice Walter Onnoghen. The tribunal, in a two-to-one decision, said it would go ahead to hear the application the CJN filed to challenge its jurisdiction to try him on the six-count charge that bordered on his alleged refusal to declare his assets. However, there was a sharp disagreement between the Chairman of the Tribunal, Mr. Danladi Umar and another member of the panel, William Agwadza Atedze, on the legal propriety of going ahead with trial despite four separate interim injunctions restraining all the parties from taking further steps in the matter pending the determination of suits before different high courts and the National Industrial Court, NIC. Whereas the CCT Chairman, in his ruling, maintained that the tribunal was not constitutionally bound by orders from both the high court and the NIC, and therefore rejected CJN’s application for the case to be adjourned sine-die. Umar stressed that section 306 of the Administration of Criminal Justice Act, ACJA, 2015, forbade the grant to stay of proceeding in criminal matter. “This proceeding before us is criminal in nature”, the CCT Chairman maintained. Nevertheless, the second member of the panel, Atedze, in a dissenting ruling, said it would amount to “judicial rascality and anarchy”, for the CCT to proceed with the trial, having been notified of the fact that the Abuja Division of the Court of Appeal has been seized of the facts of the matter. Atedze relied on several decided cases to insist that all the interim injunctions remained valid and binding on the CCT until they are set aside. He argued that the CCT had a legal responsibility to enforce every court order in line with the provision of section 287(3) of the 1999 Constitution, as amended. “It will be dangerous to proceed with this matter. You cannot boulder a house without a foundation. It is my contention that steps should be taken at this preliminary stage to first of all resolve the issue of jurisdiction. “This matter should therefore be adjourned sine-die (indefinitely) so that the particular issue of jurisdiction is resolved once and for all”, Atedze held.